Boy, was this depressing. It was very good but very bleak (as one might surmise from the so very uplifting title). I did meet one of the most revolting characters I've ever encountered, so that was interesting. And I found the 'yearning for learning' theme quite compelling. 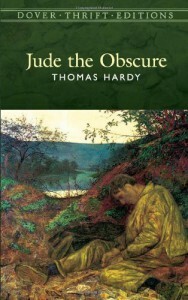 I'm sure that I disagree with Hardy on some fundamental points regarding the human condition, but nevermind -- 'twas a good, quite entertaining read.